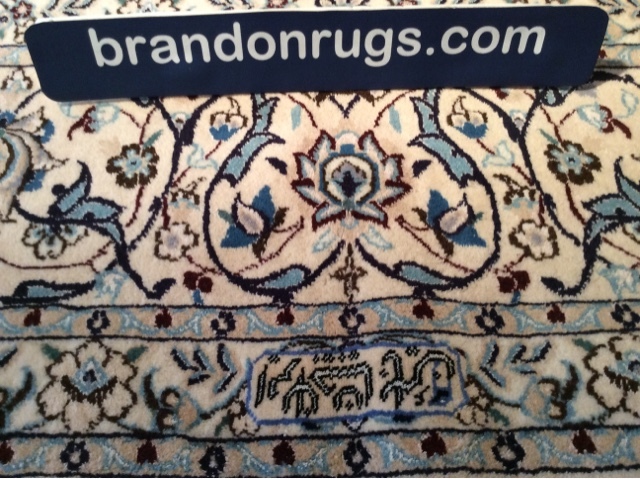 A short learn-by-example video, showing the use of fine quality handmade oriental rugs selected by customers of Brandon Oriental Rugs - www.BrandonRugs.com - for the dining areas of their homes located in Bucks County, PA.
No matter which meal you are eating; no matter the occasion or how many guests or family members are being served, an oriental rug is a great place to dine. 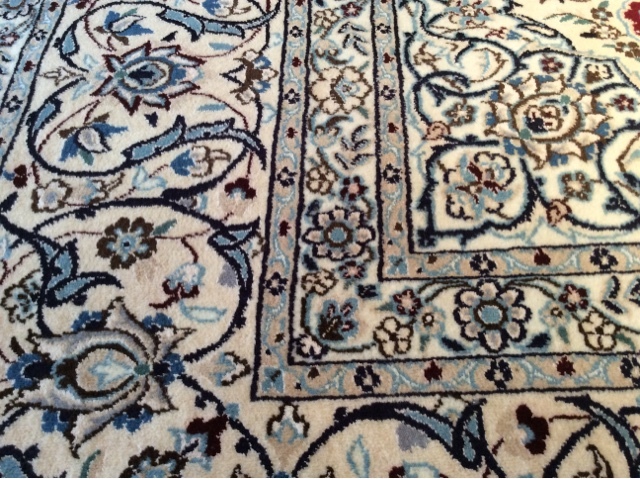 (BrandonRugs.com) Hand-knotted oriental rug, Turkish Oushak reproduction made in India selected for the dining room of our customer's Doylestown, PA home. The rug was the result of a custom search undertaken by us at our customer's request to find a perfect complement for the hand-painted mural on the wall. 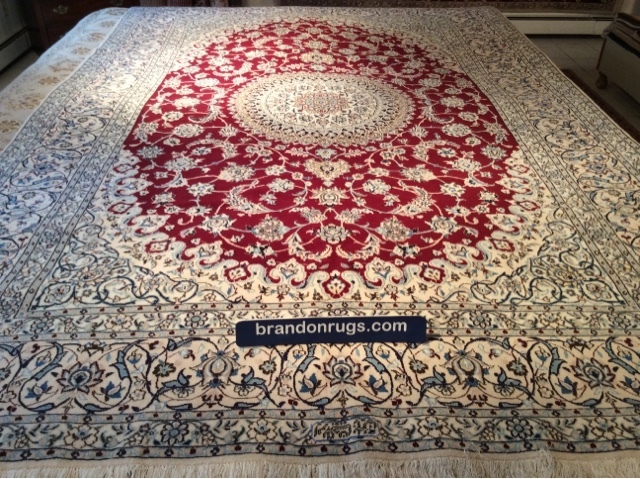 (BrandonRugs.com) Hand-knotted oriental rugs selected by our customer's for their Doylestown, PA home. Persian Nain from Iran in the living room and antique reproduction Sarouk design made in India for the dining room. 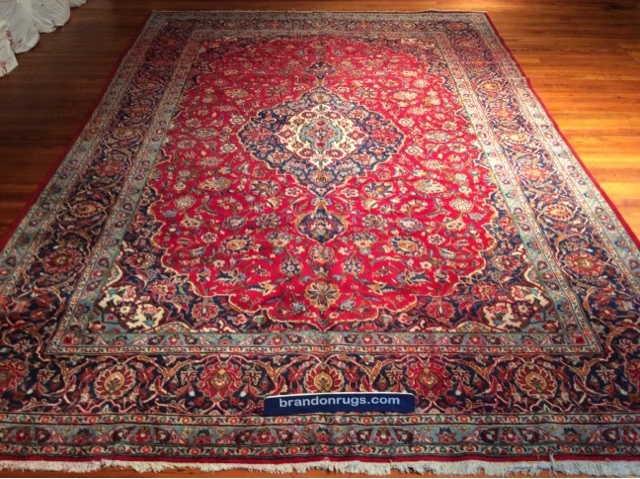 (BrandonRugs.com) Hand-knotted oriental rug. 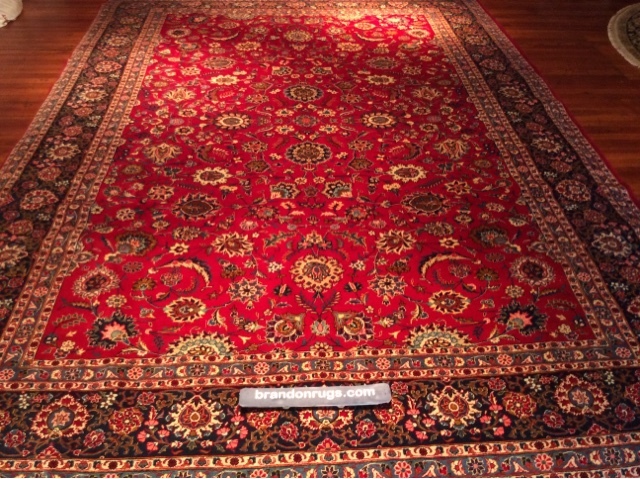 Persian Mahi-Tabriz design made in India. 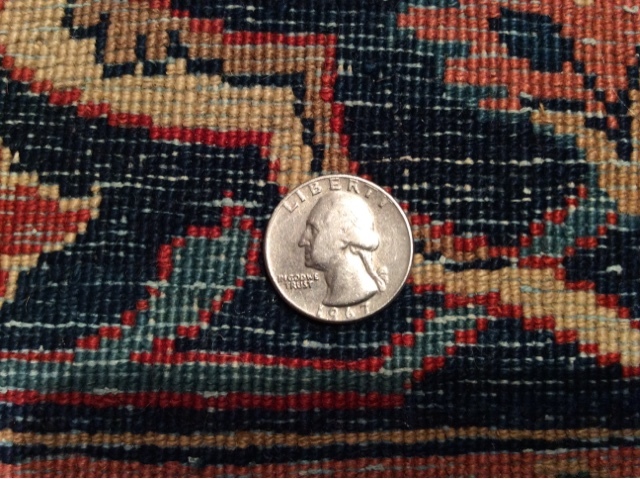 8x10. Silk Accents. 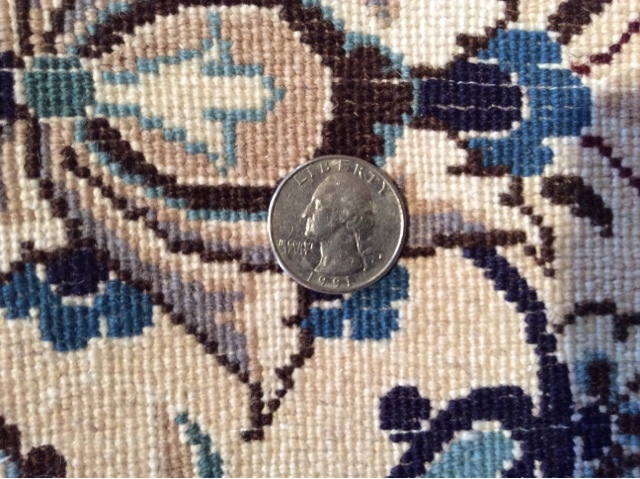 (BrandonRugs.com) Hand-knotted oriental rug. 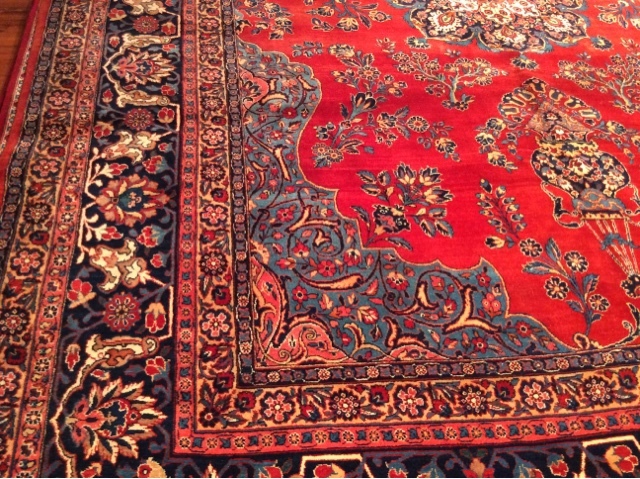 Persian Kashan design made in Iran. 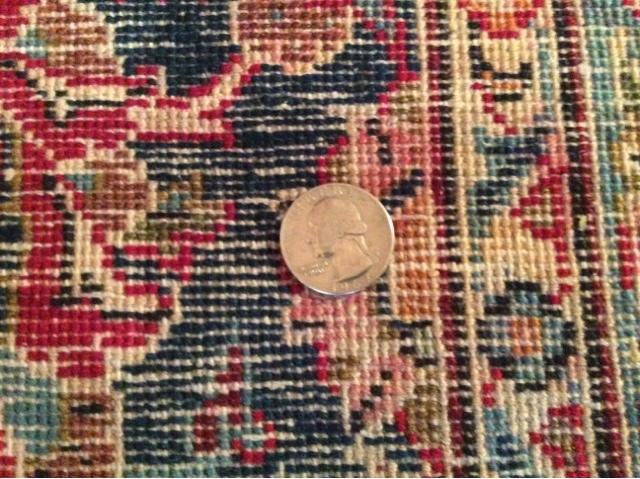 (BrandonRugs.com) Hand-knotted oriental rug. Persian Kazvin design made in Iran. 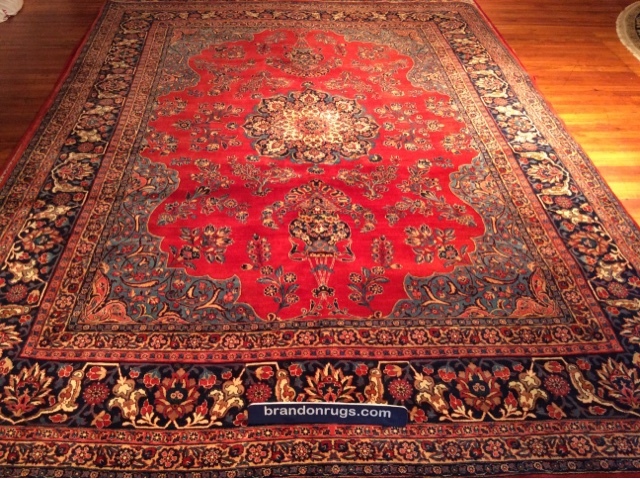 (BrandonRugs.com) Hand-knotted oriental rug. 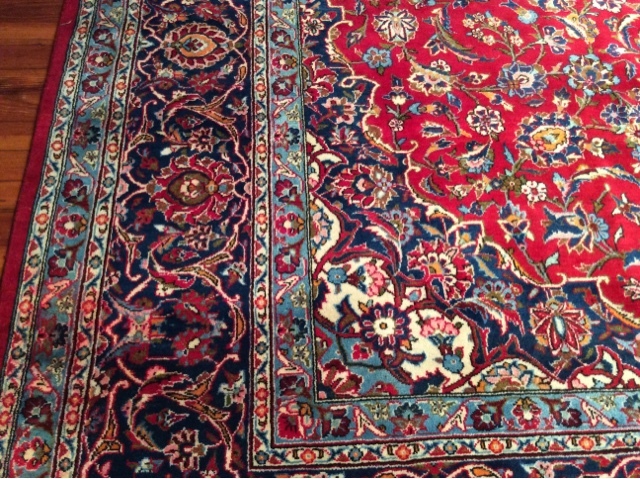 Persian Kerman design made in Iran.